Her mother was finally diagnosed with Borderline Personality Disorder. Meredith still deals with the aftermath of abuse and parental alienation. Marina Sbrochi hopes to incite behavior change by sharing the experiences of children and damaging effects of high conflict divorce. Meredith remembers being a young child and not completing a task, which was pretty normal for someone of that age. Her mother decided she wanted to prove a “point” to her daughter. She told Meredith another “story” about her father. “Your father was lazy and never completed anything he started. He took apart the engine to his car in an attempt to fix it the first year we were married and left the engine in pieces the whole 3 years we were married. He didn’t know what he was doing and he was so disorganized, he didn’t write notes when taking the engine apart to identify what pieces went where. They were just all over the floor of the garage. He just threw away time and money because he’s a loser. You’re going to be a loser just like him if you don’t learn how to complete tasks. I don’t care how boring it is. It’s part of the job. If you want to amount to anything successful in life, then you need to stop being so lazy.” This was just one of the many abusive things her mother said to her using her father as a way to be hurtful. Her mother would constantly complain about the lack of money because she told the girls her father never gave her a cent for them. Every problem in their lives was blamed on her father. 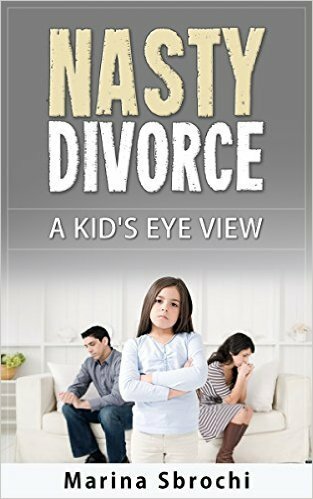 Nasty Divorce: A Kid’s Eye View will open your eyes to the true life tragedy that comes with high conflict divorce. 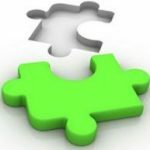 Author Marina Sbrochi has been writing positive divorce advice for The Huffington Post for since 2012. It was her post, The Lasting Effects of Talking Nasty About Your Ex, that sparked a firestorm of comments. Parental alienation, abuse and mental illness are a common theme in many of these stories. After reading this book, there will be no doubt in your mind, high conflict divorce is incredibly damaging. Sprinkled throughout the book are helpful tips and advice to help you have a better divorce for your children. It’s never too late to change direction. Your kids will thank you. The mother in this story is no doubt abusive with narcissistic traits, assuming the story is true. Diagnosed Borderline? Actually, the daughter, the author, trends closer to being Borderline. BPDs have a tenuous relationship with objective truth. What a mess.